Lanzarote, a 365 days of sun and 25C degrees. 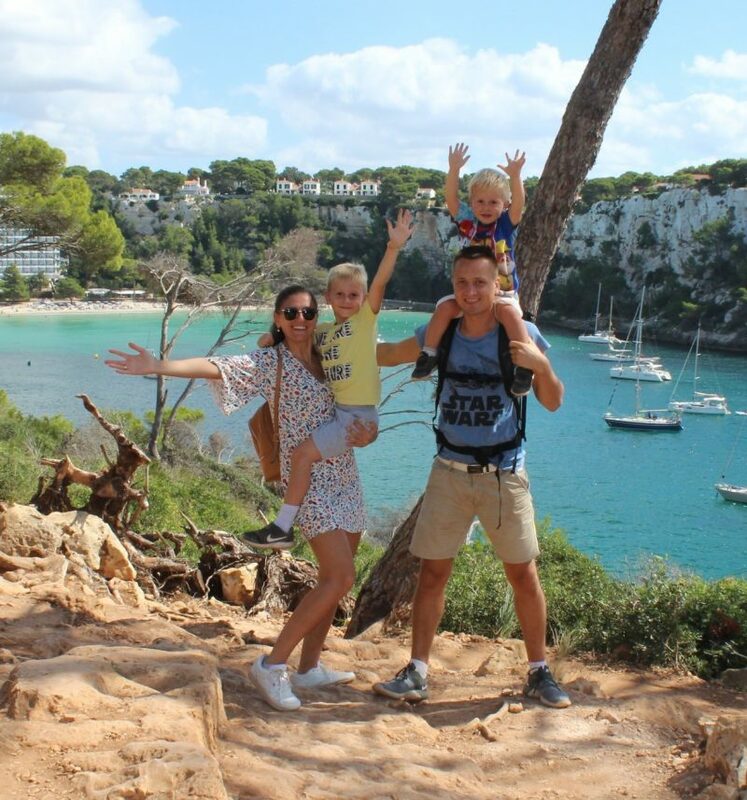 Everytime we choose a destination, we keep it simple, to be easily discovered with kids. Even though, nowadays more and more cities are kids oriented, and islands as well, it is still difficult to find that perfect place for your kids. We know this and you know. The island has public transport, and we used it 2 days, very good service overall. Usually on islands, we prefer to rent a car, but in this special case we had a guided tour with Lanzarote Experience Tours fr 2 days. That is why, we decided to enjoy the island with Cristina. By the way, it is a great experience to discover an island with an expert. 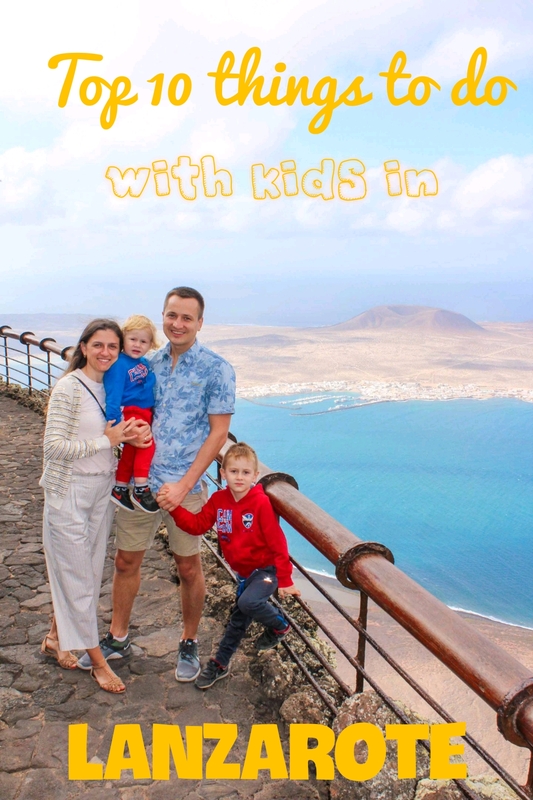 Today I am sharing with you some highlights of things to do with kids on this beautiful Canary Island, Lanzarote. How amazing to stay on the beach in December or February? With 365 days of sun and average temp of 22C every day is just perfect to have some tan in Lanzarote. There are several option of beaches, our choice went to Playa Chica, Playa Blanca and Playa Dorada. 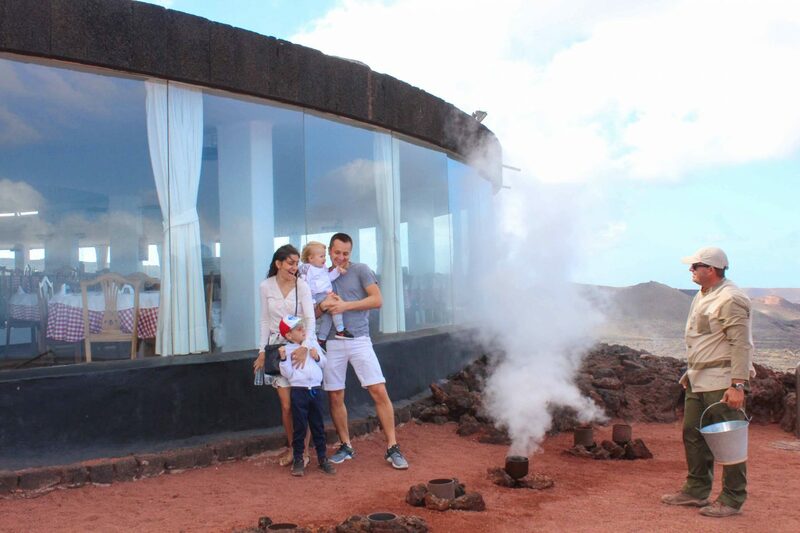 El Mirador del Rio – the famous lookout platform and restaurant built by César Manrique. It has the best panoramic view of the island, and you just have in front of you La Graciosa, another Canary Island. The curved, white walls stand in contrast to the black, craggy volcanic rock they rest in, and holes from the top lookout points poke through to the main rooms to let in natural light. Kids loved the place, because of multitude of stairs to walk there and forth. We loved the place for its outstanding views. It was our first day on the island, when we visited this spectacular place. The tip for it is to come earlier than 8 in the morning on Sunday. 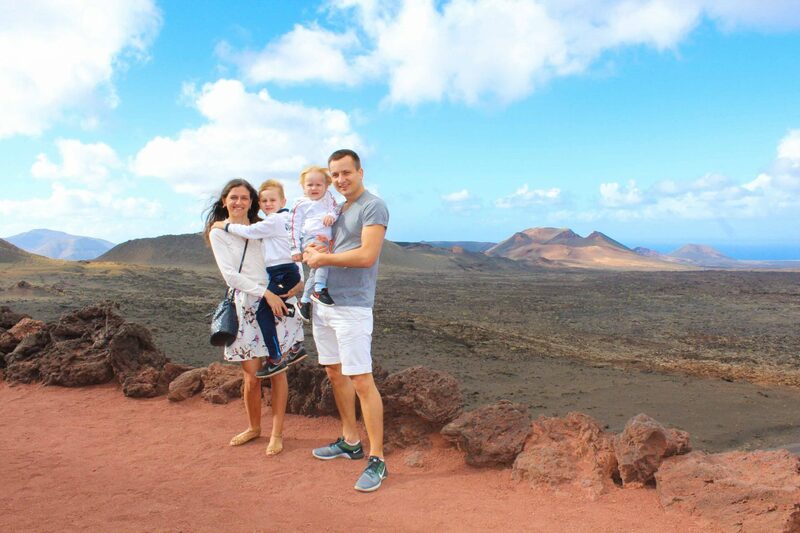 Cristina from Lanzarote Experience Tours really knows how to enjoy the island to the full. Timanfaya National Park is the volcanic place where past and future meets. The park looks like another planet. Once there, you have to park your car, as the drive through the park is not permitted. So, you leave your car, and take a bus, that makes a trek through the volcanic part. We were sitting in the very front seats so we could see better. If you see our picture, you will find it out, how amazed we were of the experience. It was a fantastic opportunity to give our kids a geography lesson with a difference. 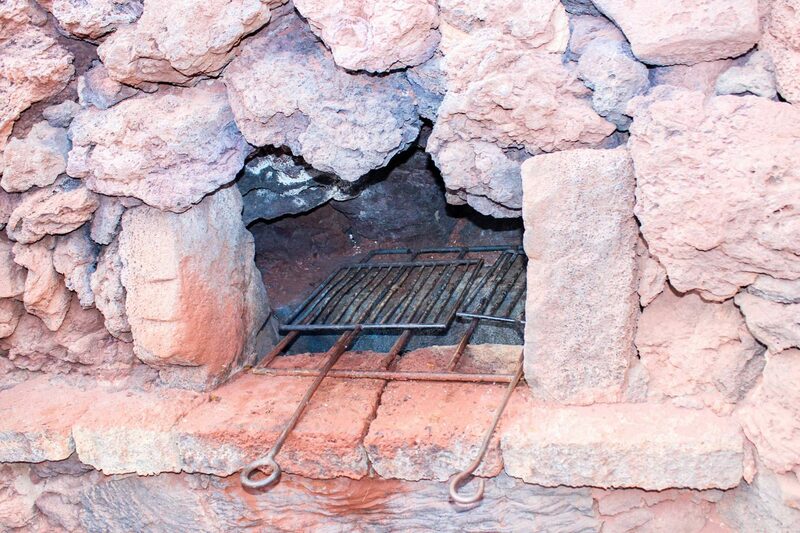 Many years ago, Cristina told us, this place was widely open to locals of Lanzarote to come and prepare their food in this place. Usually it was a Sunday, when people were staying home. Then, once tourists came to this place, it was closed to other people to come and prepare the food. It was an amazing experience to feel the heat of the volcano. The visit to Lanzarote is not complete without visiting the islands national park, often called the Mountains of Fire (Las Montañas del Fuego). It is the place where there are lots of camels, that comes from the nearer village early in the morning. And stay there for the whole day, specially for tourists like us, who loves new experiences. 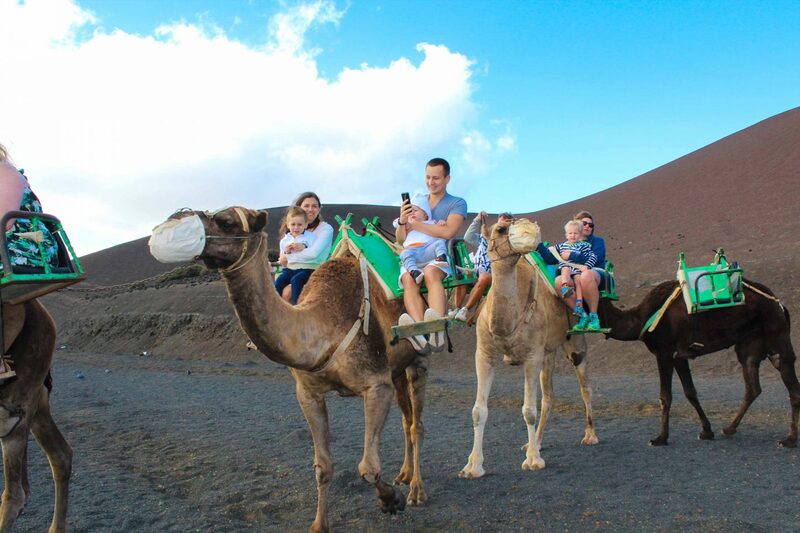 The guides help riders sit down on seats on either side of the hump and lead you up the exclusively reserved volcanic dunes for a bumpy ride you and your kids will never forget. 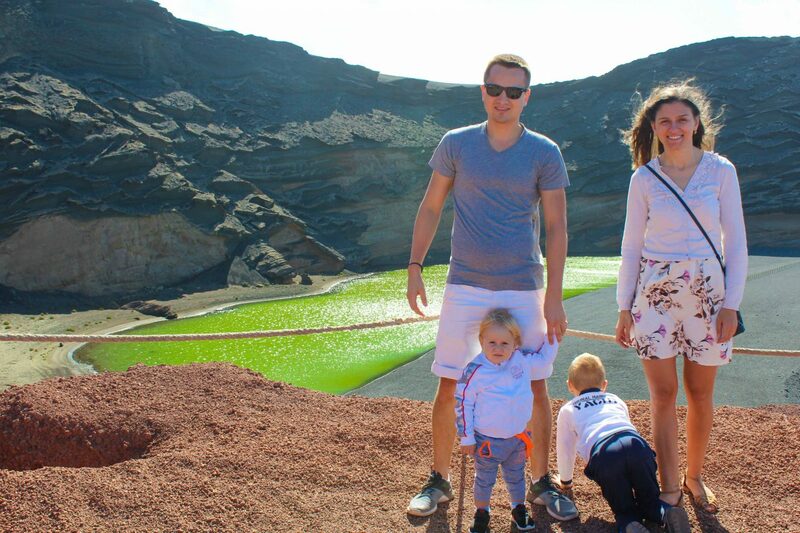 In our second day with Cristina from Lanzarote Experience Tours, we discovered the most amazing place of Lanzarote. 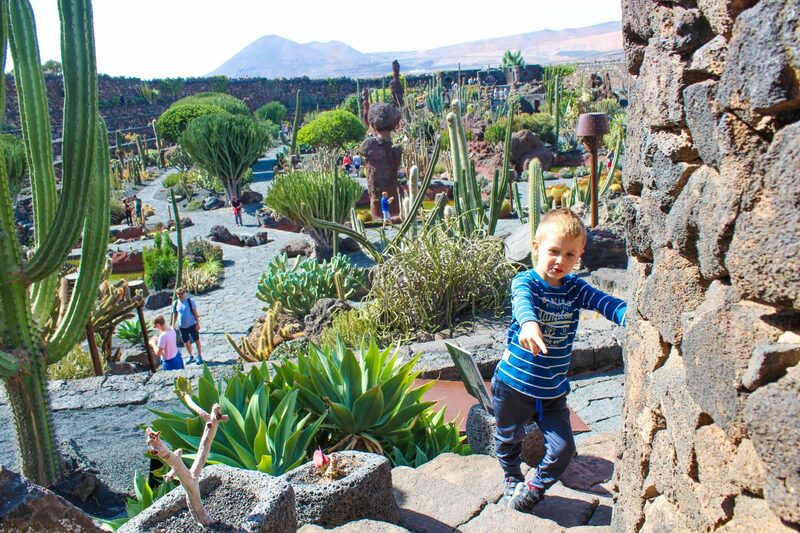 It is a cactus garden, designed by César Manrique with more than 4,500 cacti from 450 different species. Damian enjoyed this place a lot. He was amazed by every corner of the gardens. 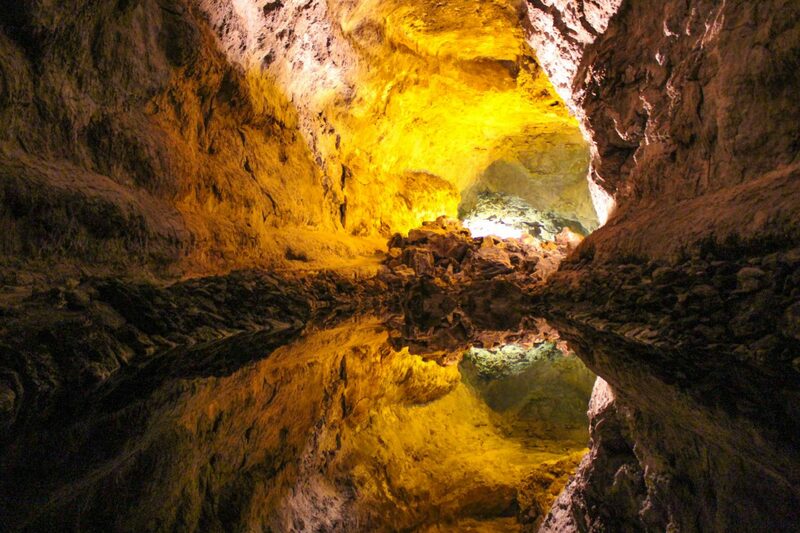 Underground world always amazed us a lot. It wasn’t our first time to see stalactites and stalagmites and to experience the underground world. But Cueva de los Verdes is different than most of the caves we’ve been to. This cave is part of the aftermath of an ancient eruption, and the walls are solidified lava. In the center of the cave’s path, there is a stage where concerts take place. 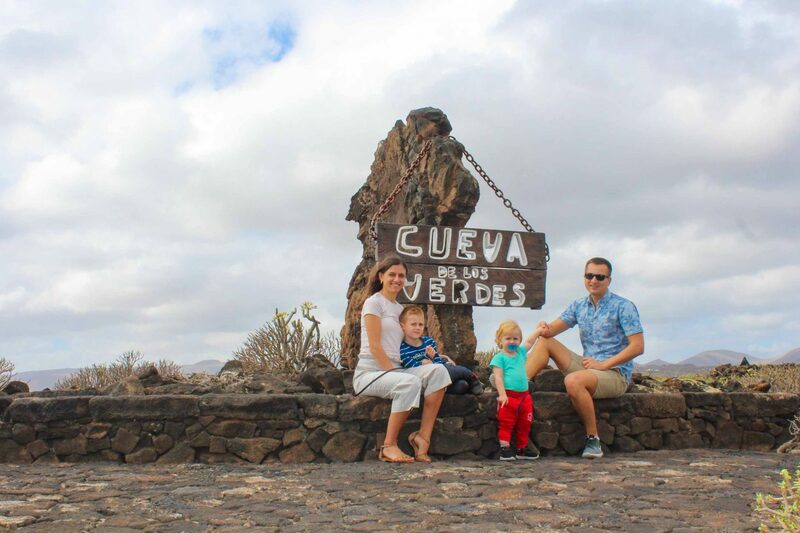 Cueva de Los Verdes is one of the longest lava tubes in the world, formed 4,000 years ago when La Corona Volcano erupted and its lava flowed to the sea. It was a special experience for us and kids. 9. Charco de los Clicos. You will hear about it as ‘charco verde’. This place is formed as part of the old volcanic crater. The water is from the sea, but due to algas that are there it has green color. Kids enjoyed strolling around and discover every corner of it. 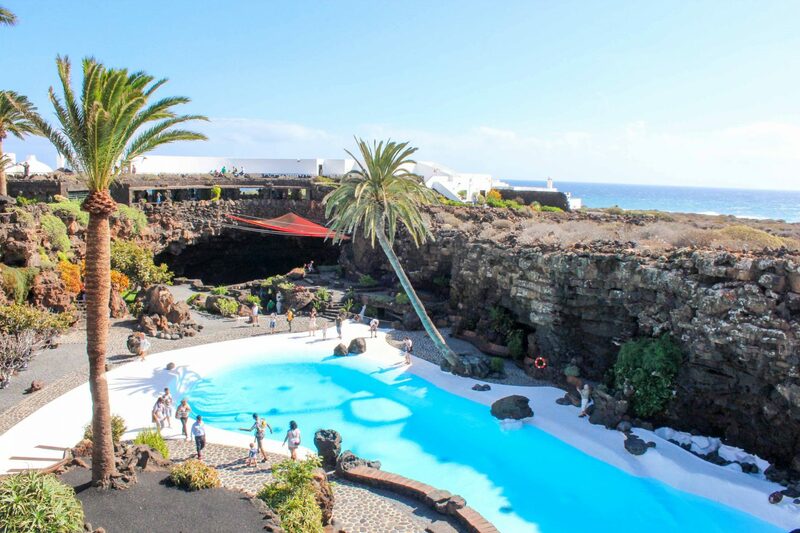 Cesar Manrique was a great artist and architect, and who helped Lanzarote to show its beauty to the whole World. The Jameos del Agua is one of his masterworks: what was once an empty, cavernous lava tube is transformed into a restaurant, concert hall, volcanic museum and altogether cool place to walk around and snap pictures in. 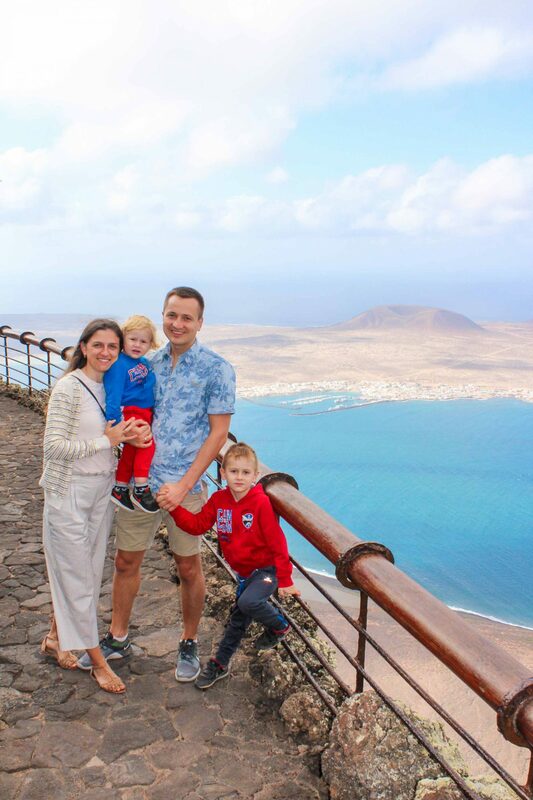 I hope I have opened your interest in the island of Lanzarote, and will experience it with your kids. 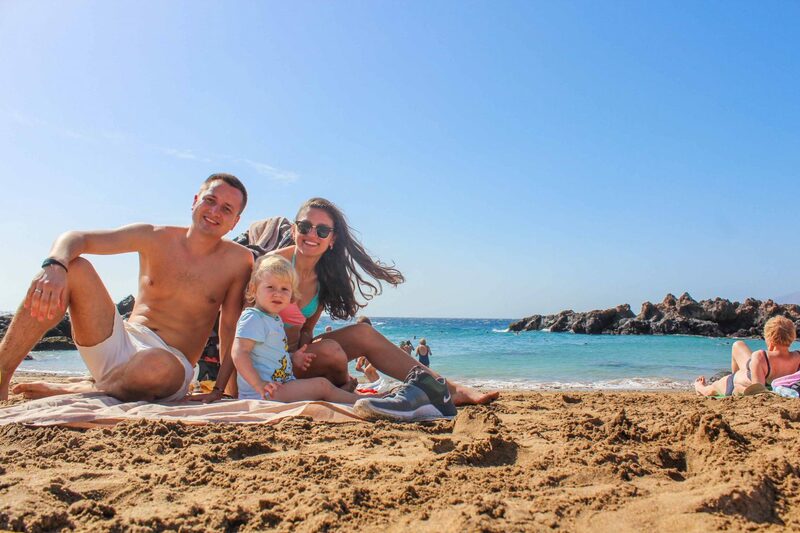 Top 5 beaches for kids in Menorca. PortAventura – in search of adventures with kids. 10 things to do in Fez, Morocco. Previous Post Top 7 things to do with kids in Gozo. Next Post 8 things to do with kids in Oslo.